“Grief Is a Journey is more than a collection of wise guidance and advice. Rather, this is a volume of rare sensitivity, penetrating understanding, and profound insights written by a foremost interpreter of grief and loss. It is a must read book for the bereaved and those who counsel them.” – Rabbi Earl A. Grollman, author of Living When A Loved One Dies. There is no “one-size-fits-all” way to cope with loss. The vital bonds that we form with those we love in life continue long after death—in very different ways. 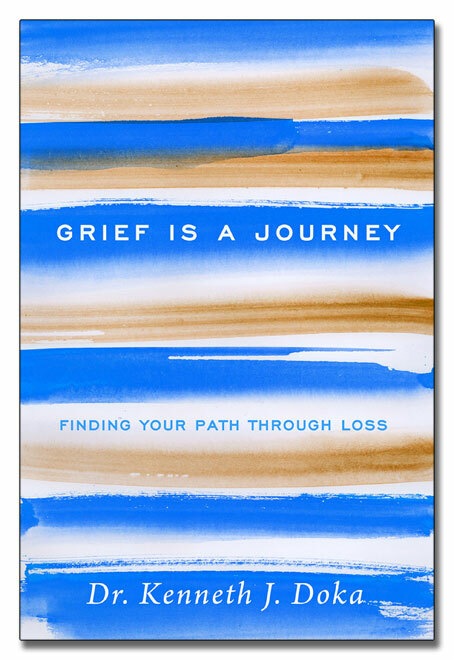 Grief Is a Journey is the first book to overturn the prevailing, often judgmental, ideas about grief, and replace them with a hopeful, inclusive, personalized, and research-backed approach. New science and studies behind Dr. Doka’s teaching upend the dominant but incorrect view that grief proceeds by stages.